A priest, why not you? If you are what you should be, you will set the world on fire! The Church is the Body of Christ. As such, the whole Church shares in the nature and tasks of Christ, our leader. This includes sharing in his priesthood. But beyond this "common priesthood of the faithful", there is the special or "ministerial priesthood" of Christ that certain members of the Church are called to receive through the sacrament of Holy Orders. Each type of priesthood is a sharing in the priesthood of Christ. And both types are related to each other. But there is a basic difference between them. In the Eucharistic sacrifice, the ordained priest acts "in the person of Christ" and offers the sacrifice to God in the name of all, and the people join with the priest in that offering. The two roles of priest and people go together. Priests share in Christ's ministry by preaching his gospel, doing all in their power to bring their people to Christian maturity. They baptize, give absolution in the sacrament of penance, and act as the Church's witness in the sacraments of matrimony and anointing of the sick. 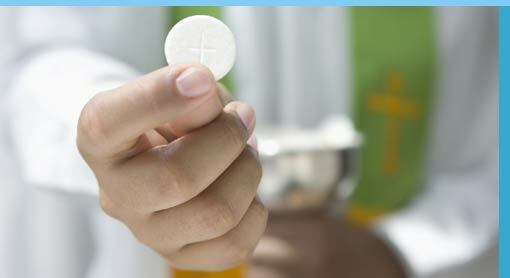 Priests celebrate the Eucharist, which is "the center of the assembly of the faithful over which the priest presides". All priests are united in the single goal of building up Christ's Body. In addition to bishops and priests, deacons also have a special sharing in the sacrament of holy orders. How do I Accept the Call? There are four steps that any man or woman must take when praying about becoming a priest. The first of these is to decide whether to become a diocesan or religious priest. Diocesan priests are bound to their bishop through their ordination to the priesthood. Religious priests are bound to their religious congregation and their superior through their ordination. Diocesan priests are the parish priests you see every weekend. Religious priests focus on the religious order or congregation they belong to. After discerning diocesan or religious priesthood, the next step is to contact the vocations director for your diocese or for the particular religious order in which you are interested in being a part of. The third step would be to enter into a formation program. Both of these steps are guided by the bishop or by the superior of the religious order in which you enter. The priest is above all a man or woman of prayer. As an ordained representative of Christ, the priest's most important prayer is to re-present the sacrifice of Jesus during Holy Mass. Their parishes rely on them to offer a sacrifice "holy and acceptable to God." Throughout the week, too, at parish meetings and community functions, they are often asked: "Father or Mother, will you lead us in prayer?" They are seen as a person accustomed to speaking with God. Every day, a priest prays the Liturgy of the Hours and spends time in private meditation. Their private prayer is essential, for they must know Him of whom they speak, teach and preach; they must come to have an intimate relationship with Him. Jesus is the raison d’être (a French phrase meaning "reason for being") of the priest. A Priest is a Prophet. Since the beginning of Christianity, people have come to Jesus through preaching. Today, this is still the primary duty of the priest. The large majority of Catholics get their information about the faith and their inspiration to practice it from the pulpit. Men and women who can articulate their excitement about their Faith are a great treasure to the Church. But it is not always easy to put one's faith into words. The Church faces a particularly difficult task in her efforts to preach the word of God in all cultures in which the faithful are constantly challenged by consumerism and a pleasure-seeking mentality. A priest's duty, then, is to teach his or her people how Christ's life is relevant to their own. They answer the question, "How can I live out my faith today?" A Priest is a King. Priests are not priests for themselves. The ordained priest shares in the mission of Jesus as Priest, Prophet, and King. Priests pray and celebrate divine worship. As prophets, they preach and teach the Gospel of Jesus Christ. As representatives of His kingship, they serve others. At the Last Supper, Jesus gave the Eucharistic mandate to His apostles, "Do this in memory of me." But not before the Lord had knelt down and washed their feet. Jesus said, "What I have done for you, you must do for one another." Priests must be servants to God's people. They bring the love and strength of Christ into the school, the hospital room, the prison, the ghetto…wherever God's people are and especially wherever they suffer, the priest is there. Through prayer, reflection, and conversation with others about our dreams and talents, we can best combine our talents with a lifestyle that will help us to share the Gospel of service with others. emphasize the values of prayer, loving service, and simple living in community with others. live by a vow of poverty, realizing that what they have is from God and that ownership of these things is merely temporal. Married members are required to consider their marriage vows and their families when living within the vow of poverty. live by a vow of chastity, loving all people universally. Married members must be faithful to their marriage vows. Unmarried members must live completely celibate lives. All must keep themselves pure in body and mind, according to their state in life. live by a vow of obedience, listening to God's will through prayer and other people. Obedience is nothing more than listening to God through one's monastic Community while giving special recognition to the Abbot/Abbess as the Community's expression of Christ as teacher. are those whose needs, hopes, and desires are much like anyone else’s: a need to love and be loved, a need for support; and a desire to share their gifts with others. are called to a lifestyle of sharing themselves, their joys, sorrows, failures, and successes. All of who they are, individually and together, is brought before the Lord in prayer. Each sister, brother and priest sets aside daily time for prayer. This is their way of centering their lives in God and receiving God's strength and love. Praying as a community, they offer worship and praise to God and express together their dependence on God. may be called to serve wherever the church's needs are the greatest. What binds these sisters, brothers, and priests together with their diverse interests is their desire to share their lives with each other in community, and to minister to God's people in a variety of ways. In order for the Good News to become incarnate, it is necessary for the church to have ordained ministers in all of the various communities. The presence and witness of deacons from all communities will more successfully identify ministerial needs and advance the response of meaningful Christian Services. 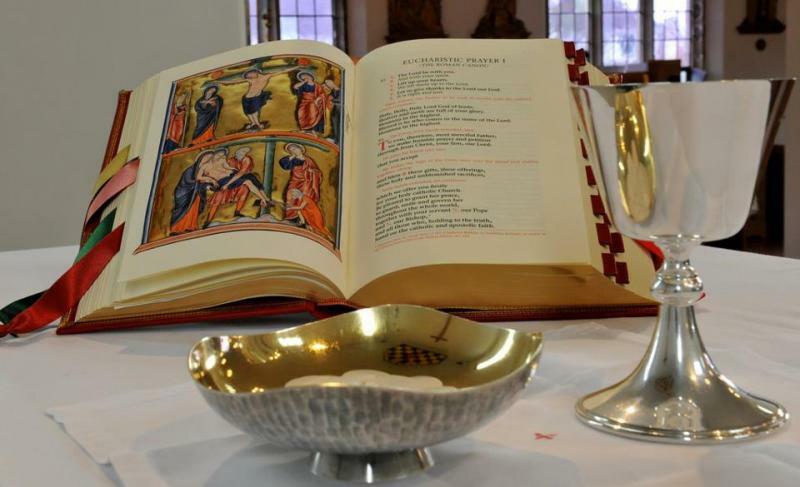 The Permanent Diaconate is open to all men and women of our community who meet the basic requirements and seek to respond to the call to serve following prayerful discernment. The Order of the Most Holy Mary Theotokos welcomes inquiries from men and women in all walks of life and backgrounds. 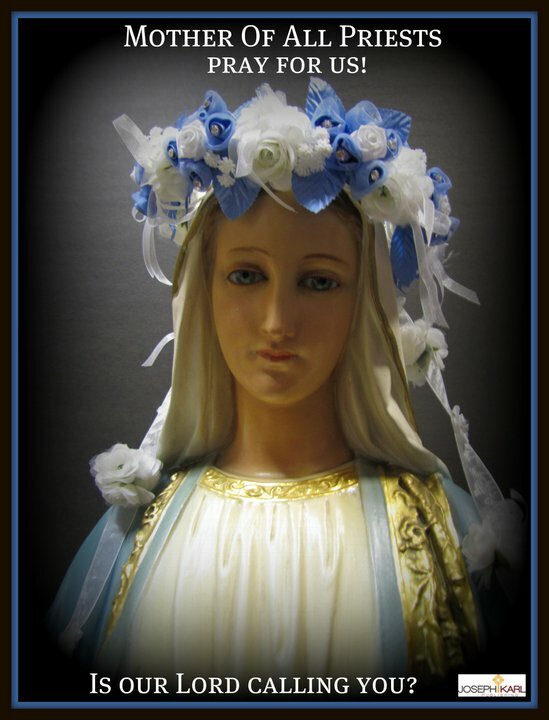 The Order of the Most Holy Mary Theotokos recognizes the Church's need for an officially sanctioned group of men and women dedicated to duties of charity and of administration. These duties, so very necessary for the life of the Church, can in many cases be filled best by those serving in the Permanent Diaconate. The origins of diaconal ministry can be found in the Acts of the Apostles (Acts 6:1-6). As the Church began to grow, it became obvious that "some to serve" were needed so that those who were "sent to preach and spread the word" could properly fulfill this ministry. The care of the poor, especially widows and orphans, was a special and major concern. Here, as elsewhere, the evidence shows that deacons were directly responsible for this work. St. Paul specifically addresses deacons in the letters to the Philippians and to Timothy; and St. Ignatius of Antioch writes of diaconal ministry. 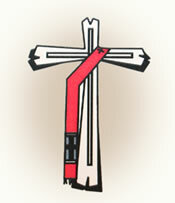 During the apostolic age, the diaconate had a significant position among the ministries of the Church. The five centuries from 100 to 600 from St. Ignatius of Antioch to St. Gregory the Great (one of the more well known deacons), has often been called the Golden Age of the Diaconate. As the Church developed structurally, the diaconate began to decline, with the office of presbyter (priest) taking on increasing importance. With a few important exceptions, the diaconal order was for centuries only a transitional state in the steps toward priesthood. We look to restore the Diaconate as a distinctive order within our community. Religious vows are to be distinguished from Holy Orders, the sacrament which bishops, priests, and deacons receive. Hence members of religious orders are not part of the hierarchy, unless they are also ordained priests or deacons (sometimes referred to as "priest-monks"). O.S.S.T. is pleased to offer ordination / incardination to qualified candidates. The Order of the Most Holy Mary Theotokos provides a context for those called to and interested in realizing their participation in the ministerial priesthood of Christ. An aspirant for Holy Orders must choose to become a First Order Monk (Ascetic). Our goal is to provide a "journey in formation" that is based in the baptismal ministry of all persons, focuses on the spiritual and personal development of those considering ordination, and is guided by the leadership needs of this jurisdiction and the Church at large. At the same time, it has been our desire to design and model interactions with interested persons and congregations that respect the diversity of our community and the wide range of skills, life experiences, and individual callings of those who approach us for consideration. Some come to us with extensive seminary preparation, while others come with very little to no previous course work. And that is why our ministerial formation program was developed with the late vocation especially in mind, realizing that in most cases full time attendance at a conventional seminary is not possible due to work and family obligations. We prepare our candidates for ordination in a slightly unusual way, by what is known as the time honored custom of “reading for Holy Orders”. All reading for Holy Orders is by distance using available technology. We have also patterned clergy training in the Order of the Most Holy Mary Theotokos after the ancient practice of the “bishop’s” or “abbot’s” schools. In the early medieval period, before general education, universities and seminaries, leaders of Christian communities trained others for ministry to the diaconate and presbyterate/priesthood in a local setting. We have renewed that vision in our newly established Ave Maria Theological Seminary, which allows people to train within their local churches and to receive a high quality, academically demanding and professional instruction in ministry. NOTE: Because O.SS.T. is a monastic community, those seeking entry into any of Ave Maria's programs of study must first be in a professed status as a First Order Monk (Ascetic) prior to submitting an application for enrollment. The Order of the Most Holy Mary Theotokos offers those clergy already ordained in valid apostolic succession, a spiritual (non-institutional) network within which they may participate in its charism through incardination, insuring sacramental integrity of administrations flowing from the bishop-priest/deacon relationship. The O.SS.T. acknowledges that a priest or deacon is empowered to function sacramentally through Ordination to the Presbyterate or Deaconate. The O.SS.T. further acknowledges that a priest or deacon has the authority to function sacramentally only when in relationship with a bishop. (Bishops "enjoy the fullness of the sacrament of orders" and priests and deacons are "dependent upon the bishops in the exercise of authority." Priests/Deacons receive full incardination with appropriate faculties. The Order of the Most Holy Mary Theotokos also recognizes and welcomes into our midst those clerics who have already been ordained in valid apostolic succession who wish to remain affiliated with and function sacramentally in relationship with their own jurisdictional dioceses/bishops. While these clerics are encouraged to seek incardination with O.SS.T., it is not a requirement for membership in the Order. The Order of the Most Holy Mary Theotokos offers bishops already consecrated in valid apostolic succession serving either as a primus or auxiliary the opportunity to serve within the jurisdiction of the O.SS.T. Such bishops may also request incardination for clerics (deacons or priests) currently serving with him or her. NOTE: O.SS.T. clerics may hold dual credentials with another jurisdiction with the approval of the Presiding Archbishop-Abbot/Abbess. We will remain a religious community of both lay and ordained. By Baptism, all the members of the Church share in Christ's holy priesthood. It is called "the common priesthood of the faithful" because the entire Church shares in it. To build up this priesthood, Christ gives to his Church the ordained ministries of bishops, priests, and deacons through the Sacrament of Holy Orders. "The ministerial priesthood" differs in essence from the common priesthood of the faithful because it confers a sacred power for the service of the faithful. The ordained ministers exercise their service for the People of God by teaching, divine worship, and pastoral governance. The ordained bishop and priest serve the Church in the person of Christ as head of the Body. "Through the ordained ministry, especially that of bishops and priests, the presence of Christ as head of the Church is made visible in the midst of the community of believers". The Sacrament does not preserve the ordained from weakness and sin, but the Holy Spirit guarantees that the minister's sin does not impede the effectiveness of the Sacrament and its graces. The ordained are called to a holiness of life and an attitude of humility that conforms them to Christ whose priesthood they share. The priest acts not only in the person of Christ, the Head of the Church, but also in the name of the Church when presenting to God the prayer of the Church, especially in the Eucharist. Discernment means “to come to know” or “to figure out.” Typically, the thought of being a priest is one that has lingered in your mind for a long time. Sometimes the pull is strong and sometimes, not so strong. But, it keeps coming back. Or you may have had a powerful experience in your life that raised the priesthood as something you ought to do. Either way you have the sense that maybe you are being called to something remarkable, to the priesthood. When you begin to actively investigate the possibility, it involves more than just trying to uncover God’s will. There are two sides, the personal and the institutional. While you are discerning God’s call (both before and during the formation program), the Church is also discerning if you have the necessary skills to be an effective priest. Not everyone who thinks they should be a priest, should be a priest. A valid candidate for the sacrament of Holy Orders needs to demonstrate more than just wanting to be a priest. You have to demonstrate the ability to gain the skills and the knowledge necessary to be a priest. You must also show a desire to do all the proper things that need to be done in order to be a good priest. In other words, you must desire to be a man or woman of service to the Church out of your love for the Lord and zeal for the Gospel. These efforts and desires will demonstrate your readiness for the vocation. Through the intercession of Our Lady under her title of the Most Holy Mary Theotokos, the patron of our Order, may more men and women respond to the Lord’s call in serving the Church as a priest. Bless our Order with men and women who will follow in the footsteps of Mary and serve the Church as religious brothers, sisters, deacons, and priests. Open the hearts of Your children that they may discern Your Holy Will; inspire in them a love and desire to surrender themselves to serving others in the name of Your son, Jesus Christ. Amen. If you discern in your faith life a calling to serve the Church as a priest or a deacon, please contact the Archbishop-Abbot to further explore the call of God in your life. Join us in a future brighter than any past. If not you... then who? Consider becoming an O.SS.T. Priest or Deacon!